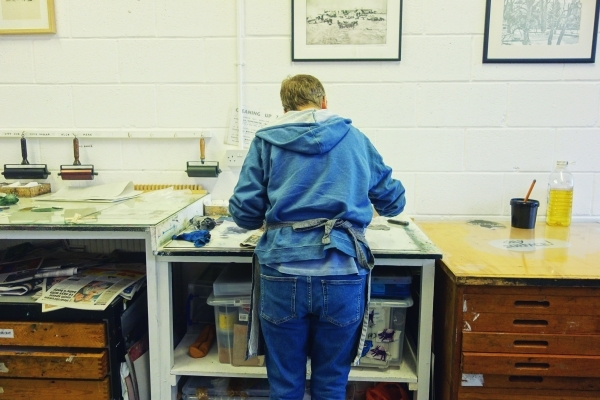 Collagraphs are made by collaging and cutting different textures on a thin board base. Almost any material with texture can be collaged, including embossed wallpaper, paint, fabric and leaves. 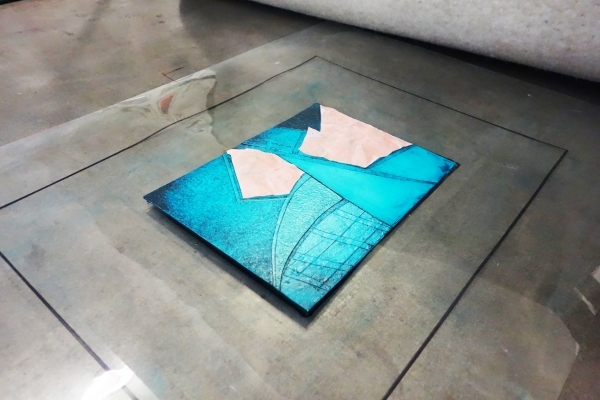 The resulting impression is that of embossing as well as printing. 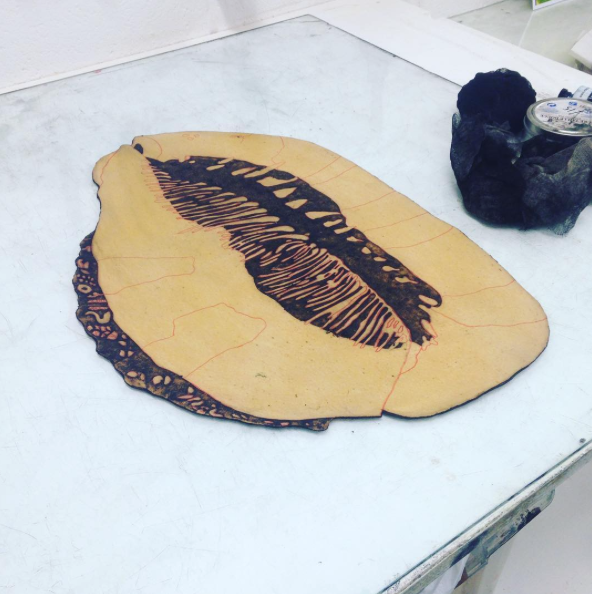 The plates for both collagraph are inked and printed using the same technique as etching. They can also be printed as a blind emboss or as a relief print. The techniques taught in this class are quick and effective, using materials that have a low environmental impact and are readily available and affordable. 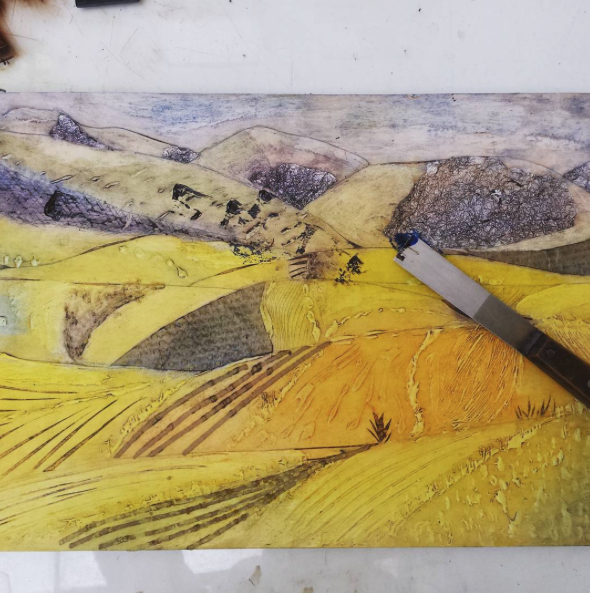 This class will teach how to prepare and make collagraphs, how to ink and print tonally and in colour, as well as how to register multiplate prints. 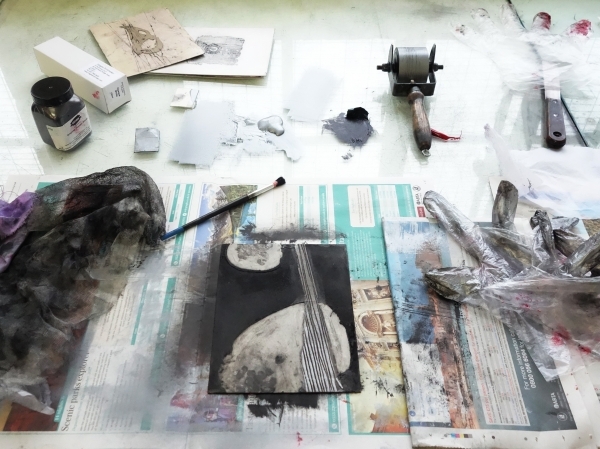 This course is suitable for beginners or those with some experience who want a refresher in intaglio printmaking techniques. Participants do not need any experience of printmaking. All materials will be provided. 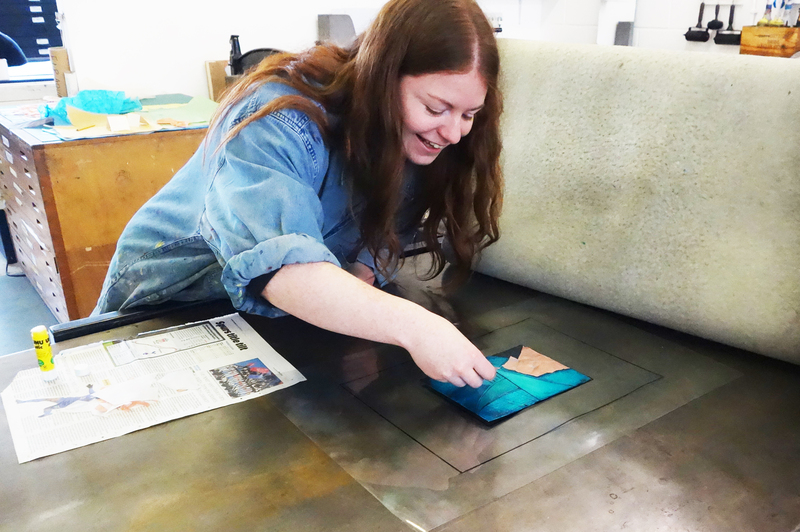 Some oil-based inks and solvents may be used in this workshop. Low-toxic alternatives will be provided. 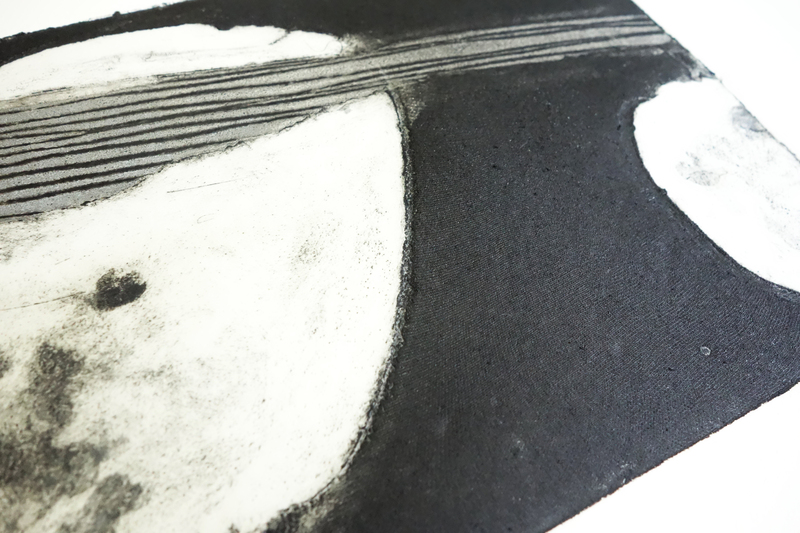 What you will achieve by the end Upon completion of this course you will have produced at least 3 collagraph plates with a range of gestural, textural and tonal mark making and techniques. 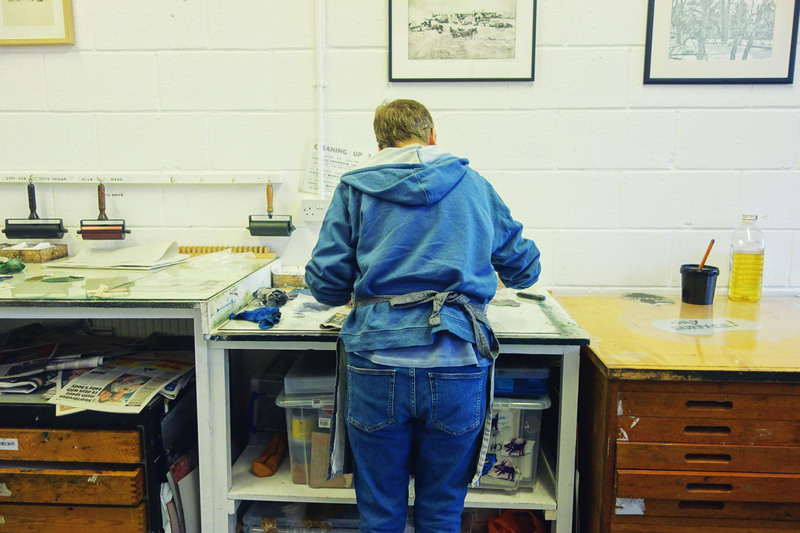 You will have printed these plates in monotone and colour, and learnt how to register multiple plates on one image. 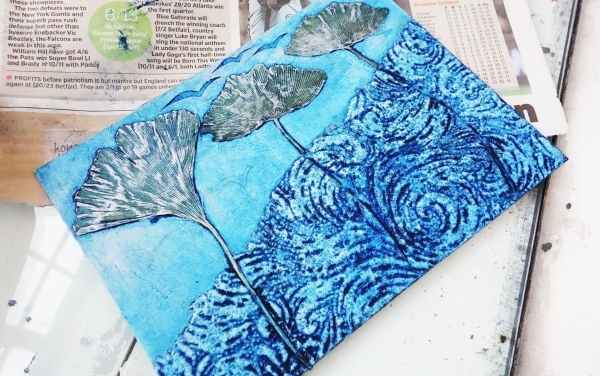 You will have enough practice in all of the techniques to be able to continue to experiment further on your own in Open Access. 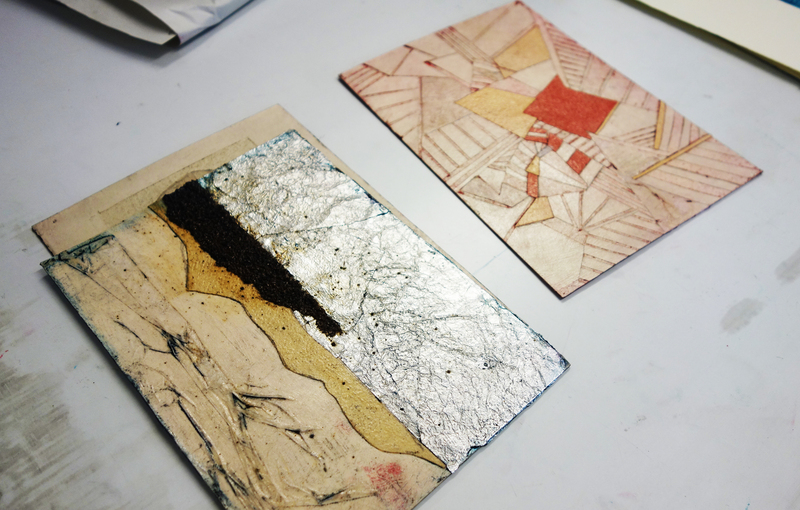 Some of the techniques are similar to etching and you may wish to further your studies on our Etching: Beginner course.